Makalu is the fifth tallest mountain on earth. A close neighbor to Mount Everest, it lies in the northeast region of Nepal. 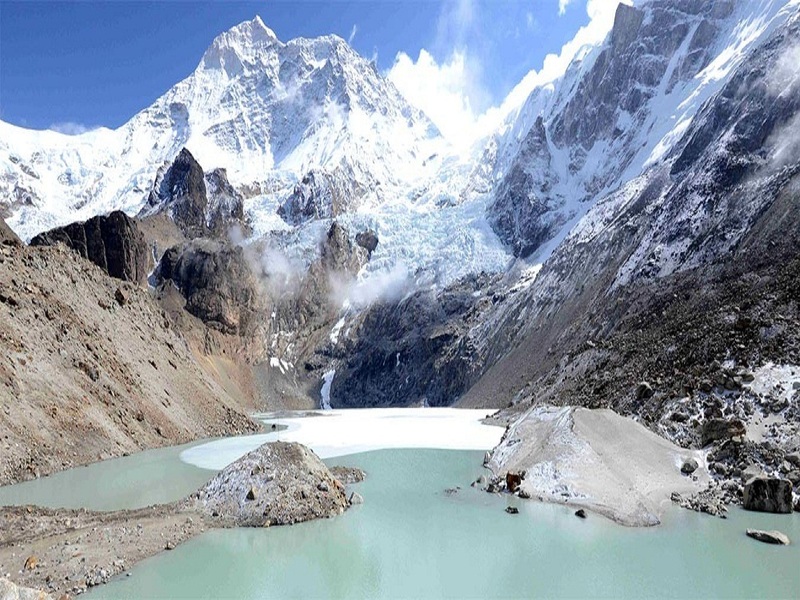 Makalu means the Great Black One, so-called due to its dark brooding appearance. Still, it is a relatively less attempted mountain. So far, the number of individual climbers who have attempted Makalu is only some 300+. Therefore, if you wish to attempt Makalu, you need to have a lot of mountaineering experience including one attempt on an 8,000 meter. 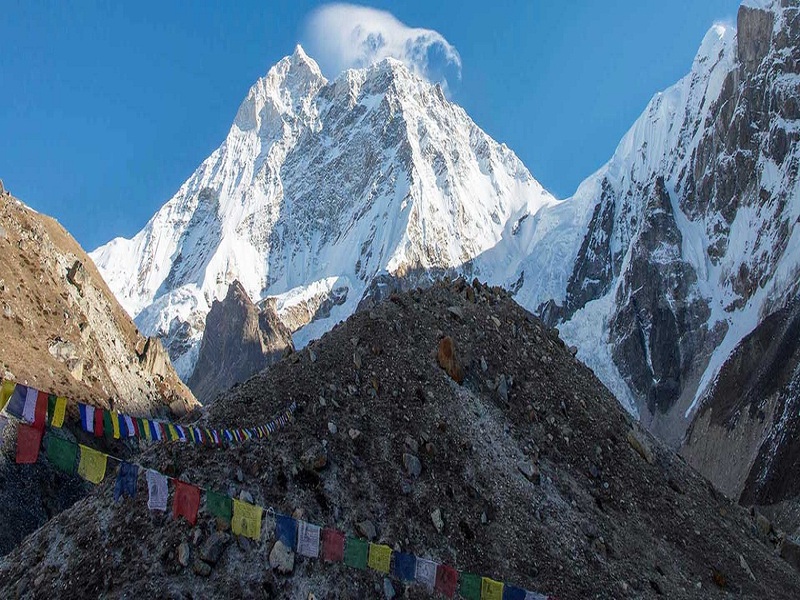 The first attempt on Makalu was made by an American team in 1954, but it was first climbed by a French Team in 1955. The mountain has two important subsidiary peaks. 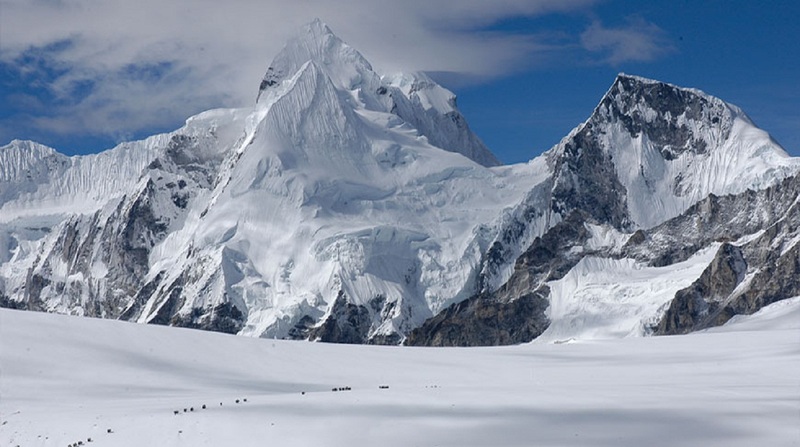 Makalu has steep pitches and knife-edged ridges. The final ascent of the summit pyramid involves technical ice and rock climbing. 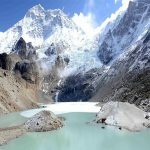 The route to Makalu Base Camp (4823m) involves a sustained steep slope with magnificent views of Makalu (8481m) to the north. Climbing Makalu is really a demanding attempt – it\’s also the reason why Makalu has not been attempted like other peaks. 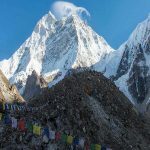 From a base camp at the foot of the Chago Glacier, we will use 4 camps on the mountain, including camp 3 on the Makalu La at 7,400m and a high camp on the North Face at approximately 7,800m. Day 01: Arrival to Kathmandu and transfer to hotel. O/N hotel. Day 02: Free day in Kathmandu. O/N hotel on B/B. Day 03: Last preparation in Kathmandu, O/N hotel on B/B. Day 04:Flight: Ktm- Biratnagar, transfer to Hile, camp. Day 05: Trek to Mangmaya, camp. Day 06: Trek to Sutibhari, camp. Day 07: Trek to Tumlingtar, camp. Day 08: Trek to Khandbari, camp. Day 09: Trek to Bhotebas. Day 10: Trek to Gogone, camp. Day 11: Trek to Num, camp. Day12: Trek to Tashi Gaon. Day 13: Trek to Khongma La. Day 14: Trek to Makalu I Base Camp. Day 15-32: Climbing period of Mount Makalu Expedition 8463m. Day 33: Mount Makalu BC to Numbuck, camp. Day 34: Trek to Khongma La, camp. Day 35: Trek to Seduwa, camp. Day 36: Trek to Chichela, camp. Day 37: Trek to Tumlingtar, cmap. Day 38: Flight Tumlingtar-Ktm, transfer to hotel on B/B. Day 39: Kathmandu Leisure day, hotel on B/B. Day 40: Departure to your next destination.